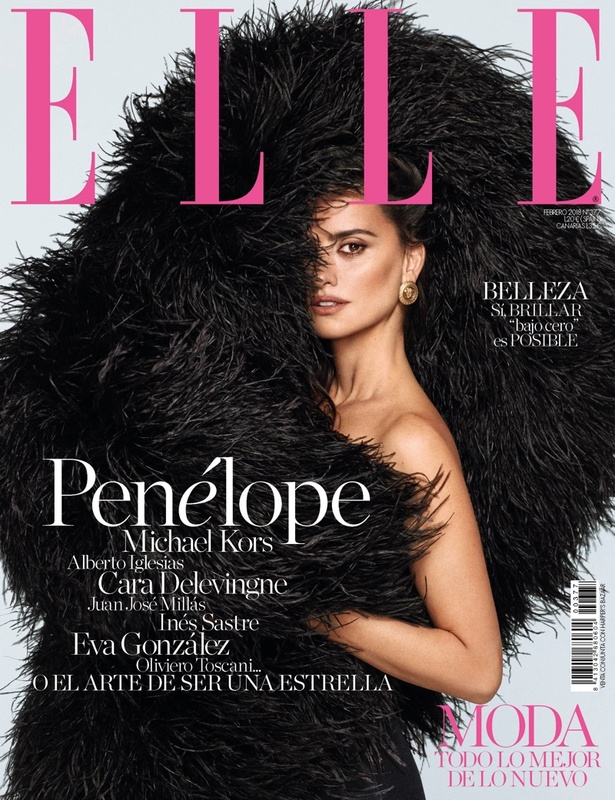 Actress Penelope Cruz turns up the glam factor for the February 2018 cover of ELLE Spain. In front of the lens of Xavi Gordo (8 Artist Management), the Spanish beauty wears a feather embellished dress from Saint Laurent with Versace earrings. For the accompanying shoot, Penelope poses in luxe pieces from the spring collections. Fashion editor Inmaculada Jimenez dresses ‘American Crime Story: The Assassination of Gianni Versace’ star in the designs of Chanel, Giorgio Armani, Balmain and more.